any free and prosperous society. And that’s why LYNC has a mission of promoting that freedom through partnership with people of faith, governments and civil societies in strategic community building and extending the love of God in a practical and tangible way. 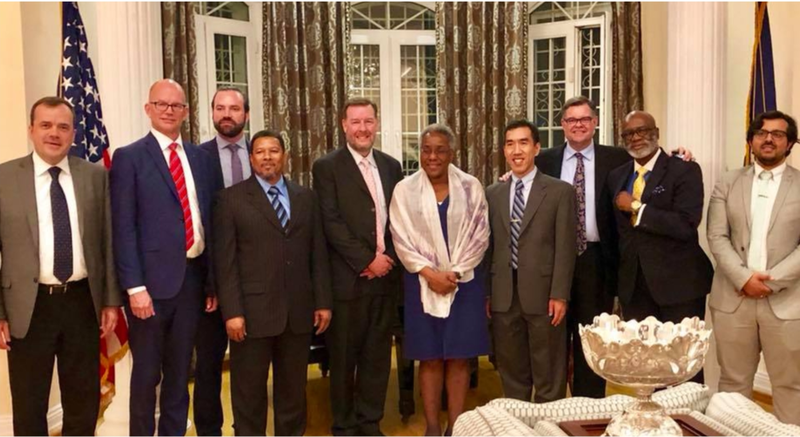 The president for LYN Community Mr. Kusack was invited by the Kazakh Embassy in Washington, D.C., to participate in the VI Congress of the Leaders of World and Traditional Religions. Congress is primarily comprised of leaders of the most prominent Muslim sects, Buddhists, Judoists, and some Christian denominations. Amongst those were represented, it is important to note a degree of unification on the topics of peace and tolerance. One on the achievements was the open dialogue on these topics between the Iranian Ayatollah and Jerusalem’s Rabbi, both seated behind the same table. With acute knowledge of the challenging religious climate in the city of Shymkent, Kazakhstan, LYNC successfully spearheaded the first multi-faith roundtable bringing together local government and religious leadership for safe space conversation. It was a substantial step toward multi-faith and government relations as reported by Mr. Kusack. The Kazakhstan Embassy in US helped LYNC to set up the meeting and invite the government officials and local imams. The government was represented by Aigul Sarseyeva, Deputy Head of the Department of Internal Policy and Head of the Department of Religious Affairs of Shymkent. There were two local imams and three evangelical pastors, president for AROK Aleksandr Klyushev and three mayor assistances. - Declaration VI Congress of the Leaders of the World and Traditional Religious with the emphasis on religious literacy and tolerance. - Possible larger roundtable with more diverse religious groups in the middle of 2019. The socially important or educational project that would include government and different religious communities would follow the roundtable. Mr. Kusack maintained a warmth and openness in the meeting and encouraged participants to do the same. One of the imams even said, “I never had any concerns regarding the Baptist church that is next to my mosque.” Ironically though, he never talks to the pastor of this church which underlined the necessity of our roundtable. As a result of the roundtable, it was decided to continue the dialogue between Muslims and Christians and find what can be done together, including with the government. In Kazakhstan, a high-level dialogue is being held between the state and representatives of religious associations. The objective is to search for mutual understanding on matters related to legislation and to join forces in the fight against violent extremism. On November 22 in Astana, the leaders of various religious communities met with officials to discuss how to improve legislation and its application in the religious sphere. The dialogue was supported by the Regional Office of the United Nations High Commissioner for Human Rights and the OSCE Office of Programs in Astana. 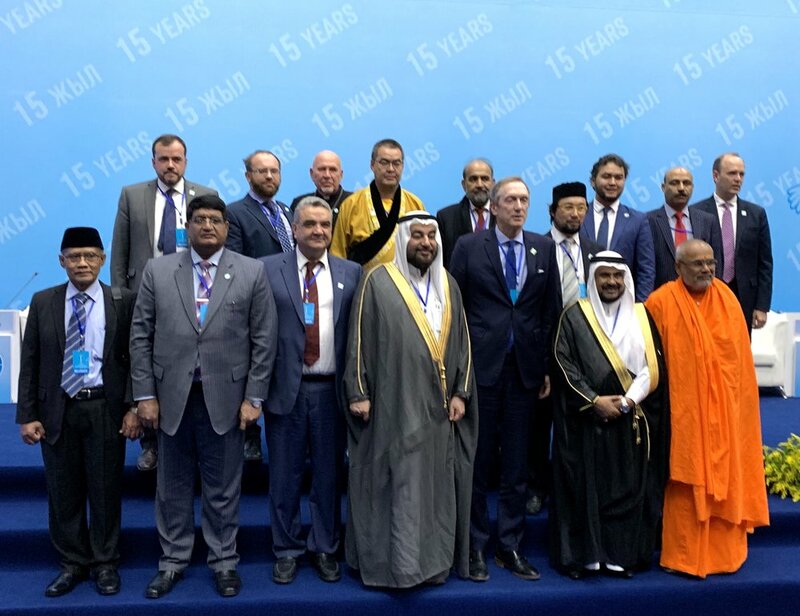 The event was attended by representatives of Islamic, Catholic, Protestant and other faiths, as well as representatives of Kazakh non-governmental organizations, scientific and educational institutions, and state and law enforcement agencies. What ensued was an open, constructive dialogue. Despite the fact that parties to the discussion held divergent, or even directly opposing views on the issues under discussion, everyone managed to express themselves and also listen to the positions of their opponents. 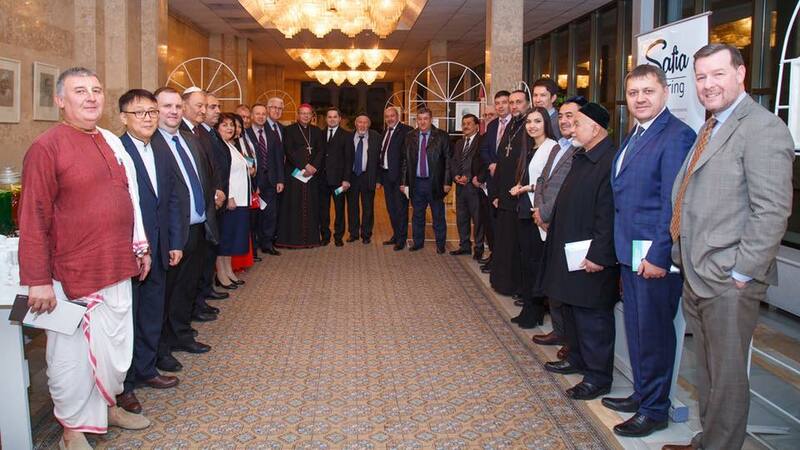 On November 27, an interfaith celebration of the 500th Anniversary of the Reformation was held at the Russian Drama Theater of Tashkent, organized by the Bible Society of Uzbekistan and the Center of the Full Gospel Church. Not only the concert program was breadth (the Turkiston Chamber Orchestra, the State Choir, and others performed), not only the compelling educational videos about the significance of the Reformation was created on the high professional level, but also the event show the wide range of participants and guests. Pastors and ministers from virtually all of the Evangelical churches of Uzbekistan came together in the 600-seat hall in the center of the city, and the special guests included representatives of state bodies, heads of embassies and ministers and clerics of other Christian denominations and religions. Ambassadors extraordinary and plenipotentiary (USA and Ukraine), representatives of foreign Biblical societies (Azerbaijan, Ukraine, Kazakhstan and Kyrgyzstan) and major Christian denominations (a bishop of the Catholic Church, vice-rector of the Orthodox Seminary and even a representative of the Islamic University) delivered congratulatory speeches on the occasion. It is obvious that the reforms carried out by the state this year have impacted the sphere of the church in full measure. The open dialogue and respectful attitude of the ministers of churches and various denominations were exemplary for Central Asia. One of the participants noted: "No matter who I spoke with after the celebration, I was not only encouraged on this night, I also came away with a sense that positive changes were underway and that we were entering a new chapter in the history of religious relations in Uzbekistan."